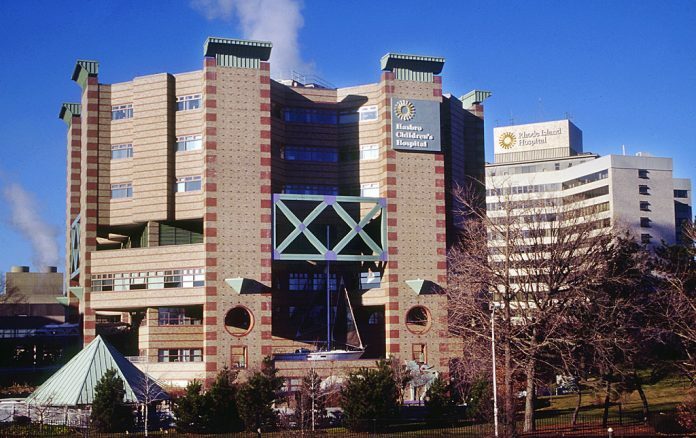 PROVIDENCE – An alliance between the region’s top children’s hospitals has been formed, aiming at improving treatment for kids diagnosed with complex conditions or behavioral health issues. New collaborations will now make it easier for patients at Hasbro Children’s Hospital to see doctors specializing in stem cell transplants at Boston Children’s Hospital and for patients at Boston Children’s to work with Bradley Hospital, a children and adolescent’s psychiatric hospital. The three hospitals announced the reciprocal agreement Friday in Providence. Bradley and Hasbro are both Lifespan hospitals, and often work together, Margaret M. Van Bree, president of Lifespan’s Rhode Island Hospital, said. The alliance is meant to streamline the process for seriously ill children who need treatments or surgeries that are not offered at both hospitals, such as heart surgery and bone marrow transplants, which are not performed at Hasbro. Conversely, fetal surgery is not done at Boston Children’s Hospital. “We will work collaboratively to make sure that a patient can get care at Boston, but their ongoing care will take place at Hasbro,” Van Bree said. Collaborations between doctors treating heart conditions and cancers were already in place between the facilities. Including Bradley Hospital – the nation’s first psychiatric hospital just for children – in collaborations will round out specialized care options for kids by including mental health. “Together with Hasbro Children’s, we offer a unique and comprehensive system of medical and psychiatric care and collective expertise that we’re happy to share. As behavioral health issues have risen to become pediatricians’ No. 1 challenge, Boston Children’s has joined us as innovators in integrating behavioral health into the primary care setting – an essential element for the wellbeing and treatment of kids and their families,” Dr. Henry Sachs, Bradley’s vice president and chief medical officer, said. Elizabeth Graham is a staff writer at PBN. Email her at graham@PBN.com.